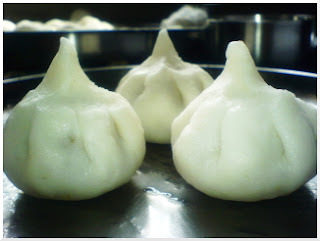 I do miss Vinayaka Chauthi.. The food, the chants are awesome... In Hyderabad, we have the lovely "teen maar" to accompany the procession. The beat is also known as "Jhajhinaka" Very Dakhani flavour..
yes, i owe you a coffee for this :) thanks! Interesting, this reminds me of the Jewish holidays Rosh Hashannah and Yom Kippur. On the second day of Rosh Hashannah is the Tashlich ceremony, where members of the community goes to a body of water and throw bread into the water, symbolizing our sins. Then, on Yom Kippur a week later, we fast for 24 hours. The similarities in different cultures and religious always fascinate me. Thanks for this post! 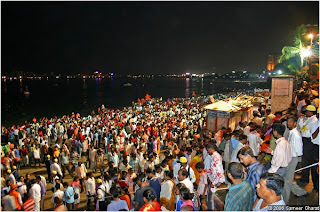 @lakshmi: I guess most places in South India celebrate this festival, with some differences in the names and rituals. @foodette: That's interesting! I do not know a lot about Jewish holidays and ceremonies. @jaya: Cool! 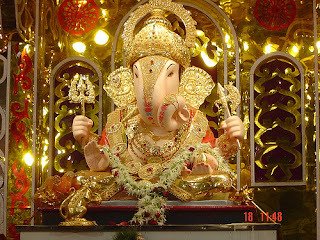 Hindus worship Ganesh before beginning anything important.